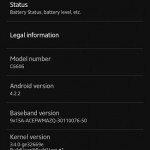 A month back on June 24, Xperia Z was officially update to Android 4.2.2 Jelly Bean 10.3.A.0.423 firmware and some days back we saw another Jelly Bean 10.3.1.A.0.236 firmware OTA update being rolled on Xperia Z but only on developer handsets, which was a lot curious why such a firmware was rolled and users reporting it were very few. 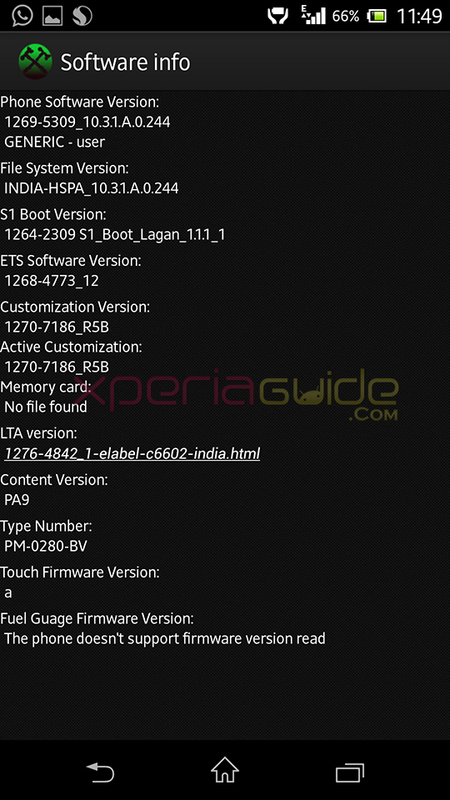 But now, in INDIA region, we have just spotted another 10.3.1.A.0.244 firmware on our Xperia Z C6602 HSPA+ version via PC Companion as well as via SUS. No such update is seen listed on PTCRB site also. Update also confirmed on Xperia Z C6603 LTE version now. 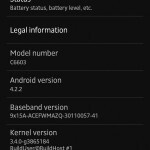 10.3.1.A.0.244 firmware update confirmed in India, Sweden, Egypt, Saudi Arabia, Poland till now. Same 10.3.1.A.0.244 firmware update is also confirmed on Xperia ZL C6503. We can confirm that 10.3.1.A.0.244 firmware update for Xperia Z C6602 is just a patch update of Android 4.2.2 🙂 Sony must have patched the perf_event exploit. So Root from previous 10.3.A.0.423 firmware will now be lost sadly. 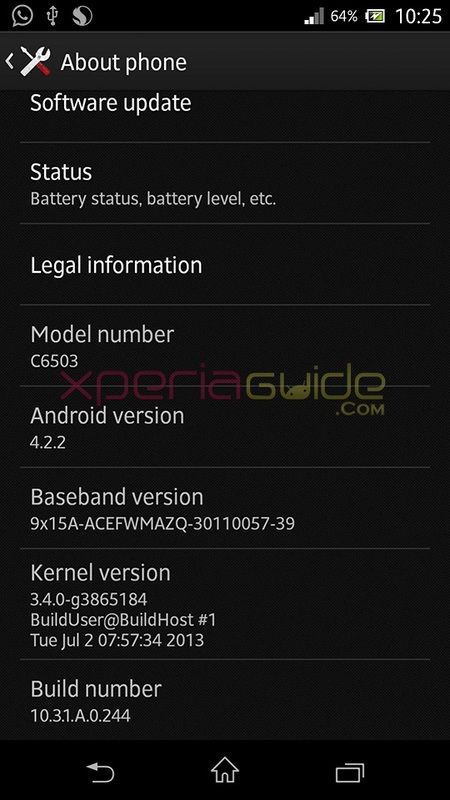 Xperia ZR C5503 / C5502 has also been updated to same Android 4.2.2 10.3.1.A.0.244 firmware update, check below link. 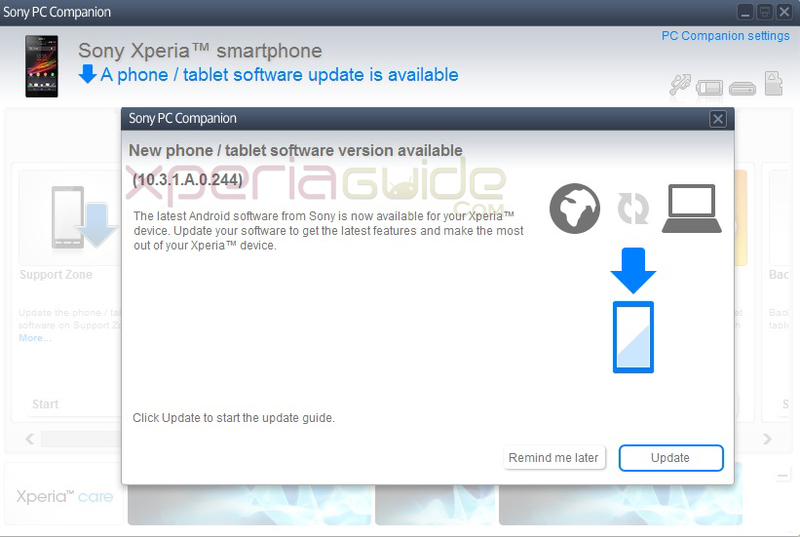 Xperia Z C6602 10.3.1.A.0.244 firmware update is a full update of 758.5 MB size as like last one. Connect your Xperia Z to PC Companion and check whether a firmware update notification is available or not. If yes, then please proceed as shown below. Click on “Update” button and proceed to confirm the new 10.3.1.A.0.244 firmware as old 10.3.A.0.423 firmware. As soon as phone boots, it will say Android is upgrading, total files are 74, it means they are fixing some bugs in this firmware. Let it happen then applications will start. 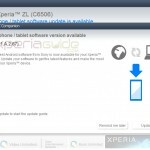 Connect your Xperia ZL to PC Companion and look for update notification and proceed if update is available. 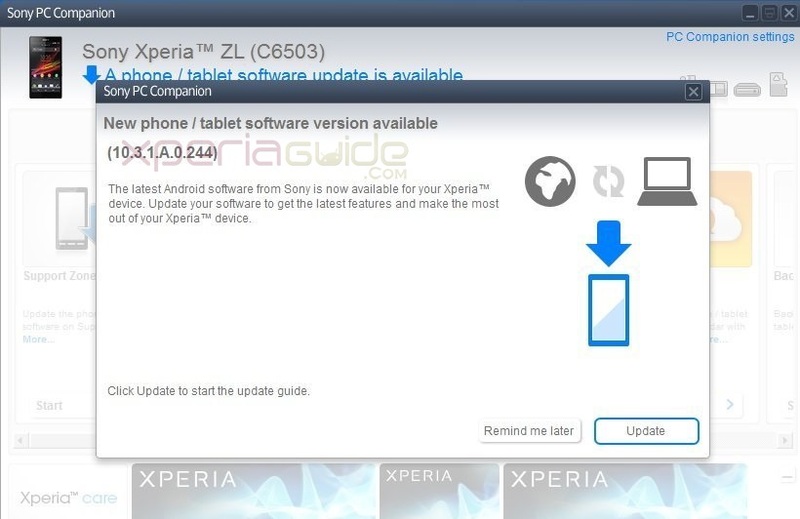 If any Xperia Z user is not able to get any update notification via PC Companion, do check your phone with SUS also. To update via SUS, Switch off your phone, Wait for 30 seconds and now press volume down button ( Saw Green LED ) now holding volume down button connect phone to PC, let SUS detect your phone and you will see an update notification of 10.3.1.A.0.244 firmware just like below. After clicking on Software Update ( Recommended ) option, proceed with the update. As soon as phone updates, it will be shown on screen. XDA Developer DooMLoRD has just tweeted that all Xperia Z / ZL users who have rooted handset, shouldn’t flash this 10.3.1.A.0.244 firmware ftf file directly. They should use OTA ROOT KEEPER, otherwise root will be lost in this new firmware. 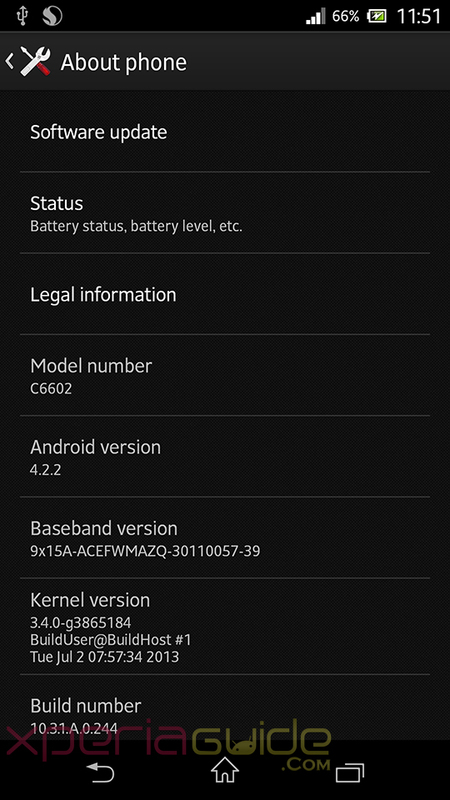 How to keep Root in Xperia Z, ZL Android 4.2.2 10.3.1.A.0.244 firmware update ? If you are updating your Xperia Z, ZL directly via Flashtool, everything in (the /system partition) gets formatted completely, so you loose root :/ So update it over OTA to keep root. Root Access will be lost, if flashing via FlashTool. Use OTA RootKeeper, if you want to have root access remain to your phone. If you are updating your Xperia Z, ZL by “Update Center” app, then using OTA RootKeeper, you can save your root access. All those who have not got update yet can download the ftf file and install it manually. 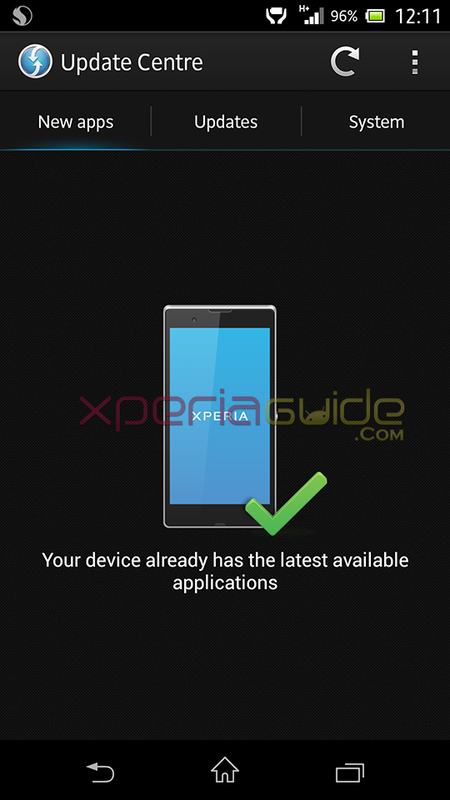 [ UPDATE ]On the request of all Xperia Z C6602 ( Indian / World ) users, XDA member alfiabraham has uploaded files for it, download them from below link. Flashing doesn’t require any root or unlocked bootloader. 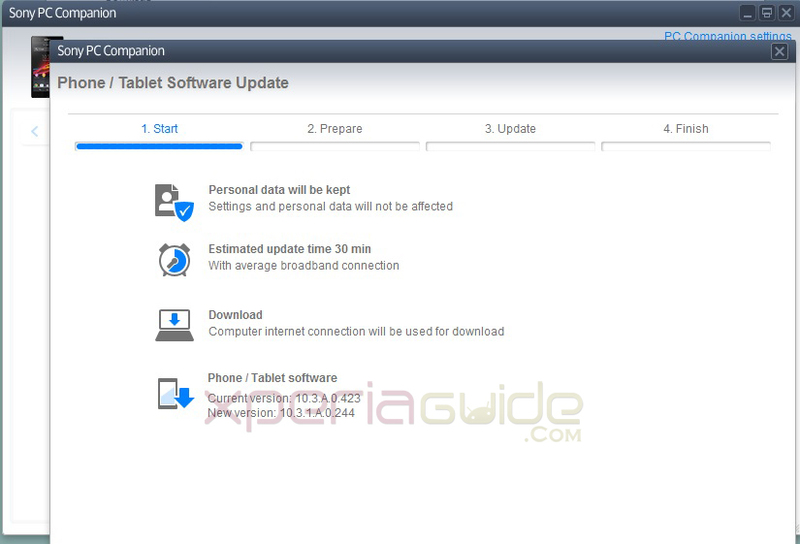 To Download Generic – Central Europe 3 ftf of this firmware, use below link. You can download the ftf file from below link and update your Xperia ZL manually by flashing the ftf file. 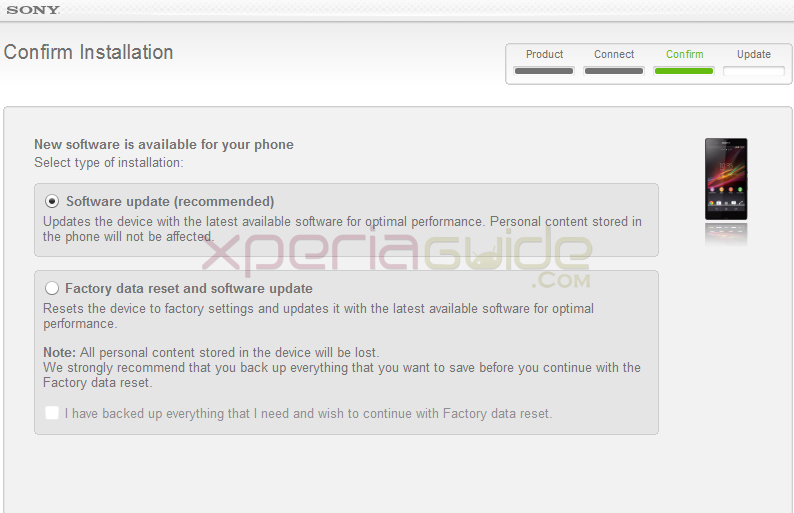 Xperia Z C6602 Android 4.2.2 10.3.1.A.0.244 firmware Customization info. 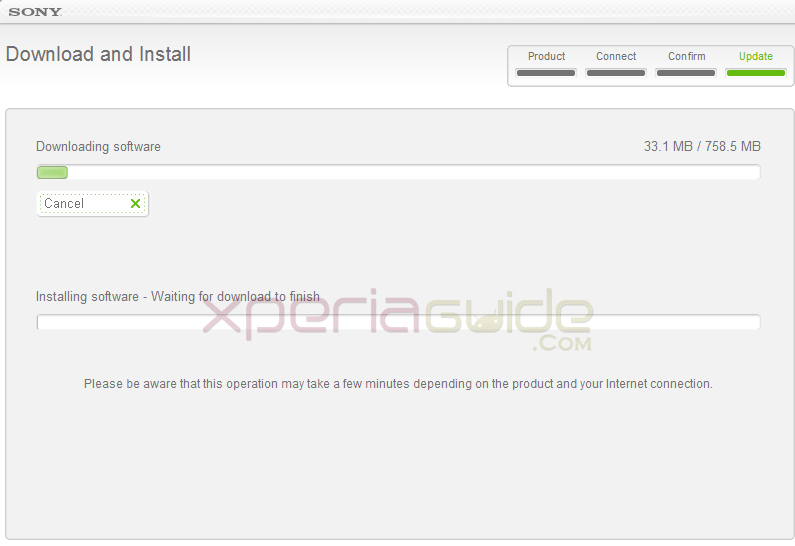 Download Build.prop file of Xperia C6602 on 10.3.1.A.0.244 firmware from below link. Efficient RAM management, 1784 MB RAM available for usage. Home launcher is more smooth, No lags here. Update Center has got a new UI. Check image below. Album app taking a bit time to load pics ( even from UHS Class 10 card ). Touch response is improved a lot. 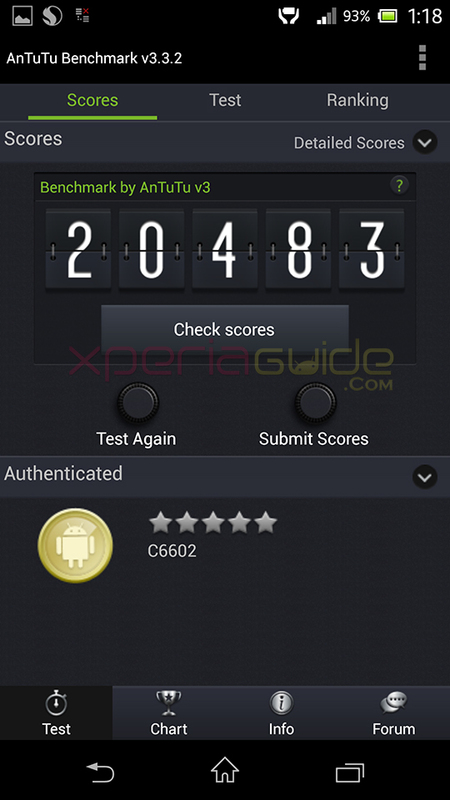 AnTuTu Benchmark score dropped after 10.3.1.A.0.244 firmware update to 20483 from 21456. Battery dropped by 2% During test and a lot heated during test. Sleep and Wake is a bit faster now. Camera Image quality in dark improved. Changes in car mode app. No unusual battery reading bug till now. Booted twice in between 30-20% battery and having no issues. Battery backup has increased, checked 🙂 ( reporting after 24 hours of update ). Users are reporting now Heating issues on their Xperia Z after Android 4.2.2 10.3.1.A.0.244 firmware update :/ Can’t say much on this now, need to test. 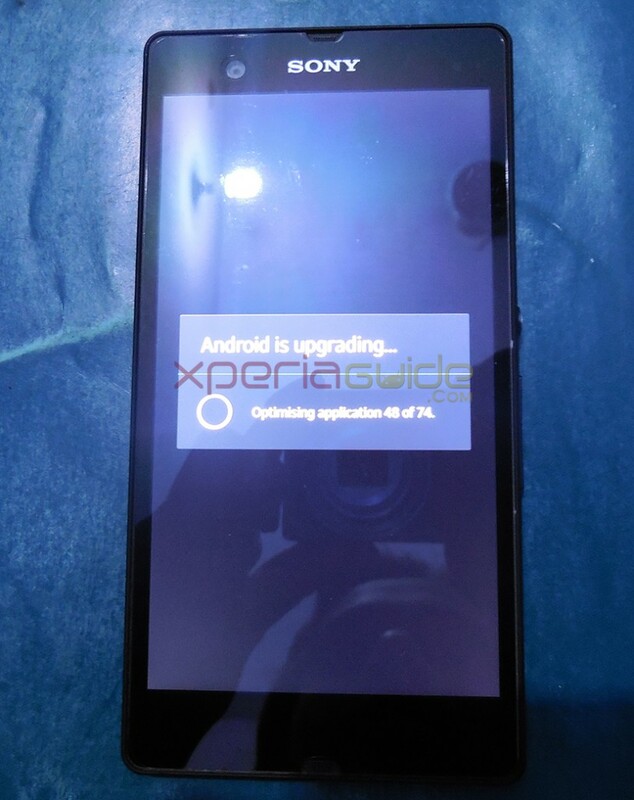 If you have already updated your Xperia Z on this latest android 4.2.2 jelly bean 10.3.1.A.0.244 firmware update, please post your review below with bugs and changelog info 🙂 We are expecting soon Xperia ZR Android 4.2.2 firmware update will be released now 🙂 It is speculated that Xperia ZR will also be directly updated to 10.3.1.A.0.244. I have updated! I see changes in Car mode, launcher is fast and touch response is improved, Update centre UI changed! (but never got OTA update till now!) SLeep and wake is faster than before, slight change is Camera dark image quality. Hai i just update the new patch,it work perfectly and just like u said no more lag in UI. Hi frnds .. Plz say Charging time(0-100) for our xperia z.After updating 4.2.2…..My XZ takes 3hrs(0-100)… I think it’s a long time for charging…But Our customer care said it’s a common one….. CMD me please..It’s Normal or Bad….Please Enter your charging time(0-100) for XZ…. Charging time for our Xperia Z C6602 after this update is 145 minutes, Takes a bit more time when charging via Sony charging Dock. waiting for new update ?? new media apps are seen or not ? what about lag ?? in album and launcher ?? No more lags..better battery and signal strength. how’s camera shots in low light mode ? pic quality increased in normal shoots…daylight. Mobile is getting over heated again after this update! You getting this temperature after doing what ? after playing subway surfer for 2 minutes, the phone is getting heated. heating issue was fixed with 4.2.2 update and its reproduced now. 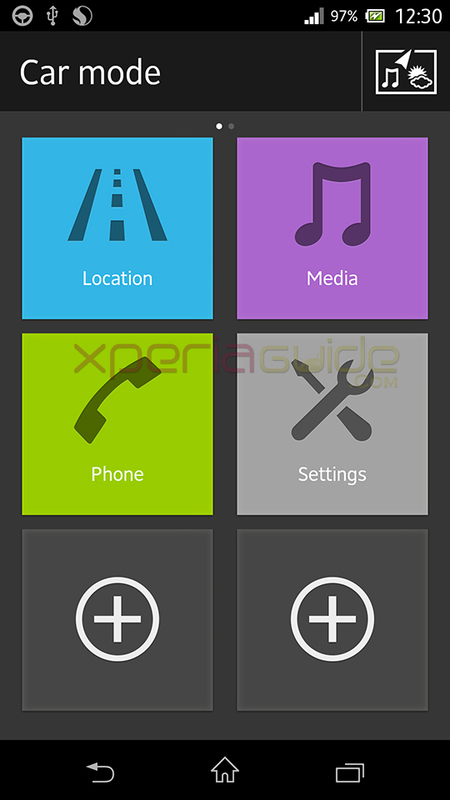 Hi frnds .. Plz say Charging time(0-100) for our xperia z……. Got update today in The Netherlands. I feels indeed if the touch experience is improved. Credits on Generic DE firmaware download for ZL would be good. Just got the update in germany. Guys above there, under C6602 ftf file, says download ftf for c6603, should i download and flash the c6603 on my c6602? should i use your method and flash the 10.3.A.0.423 then flash back the 10.3.A.0.244 to root my device ????????????????????????? Check it out.! Sony Xperia Z…..
let me check, i normally don’t use that feature…let me try once…will report back..
Hi Anurag.. I bought my phone from Singapore.. I usually update my phone via sus by changing CDA number by editing build.prop.. When I came to know India got the update first I changed my CDA to India.. But still SUS says no new update.. Any solution for this?? Or can I get your build.prop?? Dude.. Can u give me your build.prop? So I will restore with your build.prop and try again?? Coz I have already edited my build.prop to Indian region.. But not working for me.. Remember it is from XZ C6602 not from C6603. Thanks dude.. Let me try..
My xperia z is c6602..
Hi there, so I have just updated my device but I noticed that there were just 35 apps to be optimized not 74, so is that wrong?? no it’s not wrong some users also reported that they got only 30 apps to be optimized…may region dependent feature..
what’s your phone branding ? software customization info ? Can I flash any FTF (for example India) for my C6602 MEA region ? I tried updating my ZL via PC companion today, and somehow I missed the part where I’m supposed to disconnect the USB cable and reconnect while pressing the Volume Down button. The phone just shut down by itself, and the Update process went on as usual it seemed, but after 2 hours, the update was still stuck at “Downloading…” and the phone screen remained totally blank. Thanks Anurag Kumar! Your advice was reassuring. I finally had the guts to disconnect the phone, and it’s now able to turn on and work perfectly fine. I guess I’ll try updating the software again later today. Enough scare for a night. haha..
p/s: excuse me for double posting earlier. Just switch off your phone > Keep battery 50% + > Open SUS > Run it > when asked to connect > Connect phone pressing volume down button > As soon phone is detected you can leave button > Now SUS updates it. Just to be sure, what should I see on my phone after I connect the phone pressing volume down button and SUS detects it? Will there be any display / LED notification, or absolute blank? I have Xperia z c6602 ?? cuz i see Genaric india .. so i have some doubt it is ok to install in saudia arabia 🙂 ??? I updated my X-Z, everything works fine as of now. I have the 6603 model bought directly from Sony here in the UK. I received the original 4.2.2 Android update a couple of weeks ago and it caused one extremely irritating problem. When the Xperia connects using Bluetooth to my BMW, it did not transfer the contents (phone numbers and associated names) onto the screen of the car. So to make a call, it became necessary to pull out the phone and use the dialer on the phone (illegal while driving here in the UK). Today, when I connected the Xperia to the Sony Companion on my PC, my operating system was upgraded again (full upgrade 750 MB – not a patch. I still have Android 4.2.2 but now it’s build number 10.31.A.0.244 and guess what… the phone works perfectly in the car, transferring my whole Contacts list onto the in car handsfree system by Bluetooth. I guess the Sony helplines had been inundated with calls about the various bugs as it’s unusual for large Corporations to react so quickly. They usually spend a month denying that anybody (other than you) has had any problem like this. Well done Sony!! I updated to the 244 version(My XZ is spanish unlock and no root) and i started to have problems with LTE,is not working at all and i have to disable it from the network settings and use only 3g. as well during call i loose all sound and i have to put loudspeakers to hear the call. Anyone have the same problem?? i already restore the phone to factory settings and delate all apps but the problem remains .